PCP is a hallucinogen and can be addictive. First introduced in the 1950s as an anesthetic, it soon fell out of favor with the medical community because of its severe side effects. Patients became agitated, violent, and experienced distressing auditory and visual hallucinations while under its effects. Some require PCP rehab in order to go clean. For those who find themselves addicted to PCP and other hallucinogens, help is available through inpatient and outpatient treatment centers. 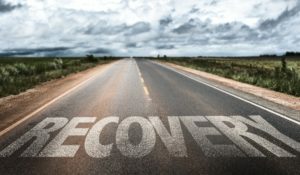 In recovery, patients are involved in a supportive community of fellow recoverers, doctors, and therapists, and can find help and healing from PCP addiction. Are there affordable drug treatment options available? While a stay at a residential treatment facility can run in the thousands, there are affordable options available for those wishing to recover from addiction. An intake counselor at a PCP rehab center will work with the patient’s insurance company to find them the benefits they need in order to attend and complete a program. Many centers offer financing for those who qualify. Also, there is funding available through state and local government agencies for those without insurance or insurance that does not cover drug rehab. SAMHSA has a directory available that lists treatment centers across the country. How does someone convince a loved one to attend PCP rehab? No one can be forced into PCP rehab. The person must want to recover. Sometimes, the individual hasn’t reached the point where they feel they need treatment. This is an understandably difficult situation for the family and loved ones. But sometimes a person is ready to commit to recovery and with a bit of encouragement from people they trust. First, never approach from a position of blame, and try to remain calm. Words said in anger are rarely encouraging. Also, try to say something positive about the person, i.e., that they are a determined and hardworking individual who can successfully recover from this disease. Reiterate that they have support from family and friends. How do relapse prevention centers work? People in recovery need customized plans for ongoing maintenance and treatment. Each person has a unique life story and individualized reasons for why they became addicted and why they wanted to live a life free from addiction finally. PCP rehab centers work by exploring these reasons and formulating a treatment plan for the individual. A combination of one-on-one, group, and family therapy sessions are prescribed. Sometimes, detox is required as well as alternative therapeutic methods or pharmacological methods. PCP rehab centers can craft and schedule an ongoing treatment plan to reduce the risk of relapse. Ongoing treatment plans usually include therapy sessions. These sessions help the individual stay accountable, and it also gives them support and encouragement throughout various stages of their lives. Although the effects of PCP can be distressing for the person addicted and their loved ones, help is available for those who wish to recover from addiction. With professional counseling and group support from a rehab center, patients can go on to live lives free from the pain and anguish of drug addiction. PCP (phencyclidine), otherwise known as “angel dust,” is inherently dangerous, mostly because of its completely unpredictable effects on a user. A dissociative hallucinogenic, PCP numbs the body and warps a person’s mind. Sometimes we hear the stories as they end up on the news: a person addicted to PCP acts extremely irrationally, and ends up hurting themselves or others. High enough doses can even produce a terrifying, psychotic-like state that may last days or weeks. With Windward Way, we have a solution for you. Our experts will put together a substance abuse rehab made specifically for your addiction to angel dust. Windward Way’s PCP addiction rehab has the expertise, tools, and gentle encouragement to help you fight your need to use this drug. Reach out now to determine how our treatment for PCP can free you from your slavery to this substance, once and for all: 855-491-7694. Since PCP is an illegal drug, often the dosage people take is impossible to determine. Windward Way’s clinically supervised PCP detox can help you by giving you the care you require when you’re no longer using the drug. Also, since many PCP users need time to “get back to reality,” Windward Way will make the time that is necessary to help men reengage with the real world once again. Once stabilized, we will help you move ahead with our residential rehab where we will help you learn how to manage life . . . drug-free. The Windward Way addiction treatment program will also weigh the balances what appropriate mental health treatment is required and work with our partners, when necessary. In fact, we are extremely satisfied the direction our rehab center is going—past clients often praise the time and care we had placed with every man who comes through our doors. The process for admission can get you started right this moment—we’re available 24/7 to listen to your needs—you don’t have to begin this process alone. Pick up the phone and let us describe how we can put together the perfect plan to find a new life, away from the drug PCP. Your call demonstrates (without a doubt) how brave you really are! 855-491-7694.